As I made my daily rounds on twitter last night I stumbled upon an interesting conversation. It started with a tweet regarding the mainstream and how for the most part they’ve pretty much forgotten about crypto. My first thought was “no they haven’t”. But as I began to think about it I realized that for the most part he was right. Being so heavily involved in the crypto-community I realized that my perspective is a bit different from the outside world. Of course we see some articles from the main stream media, but this isn’t about the media. This is about the main stream people of the world. Flash back to 2017. A time where everyone and their uncle were talking about bitcoin and other cryptocurrencies. Everywhere you went you could see people checking their coinbase accounts, or brush up on conversations about crypto at your local pub. This still exists, but only in small circles. Of course we in the community see crypto news on a daily basis, but outside of us (crypto evangelists), the financial institutions and a moderate amount of garbage mainstream media coverage, nobody seems to care. While reading through the comments I saw something that really resonated with me. Something that many of us in the KIN community have been talking about for quite some time. Not only that but it was the perfect way to articulate the idea. 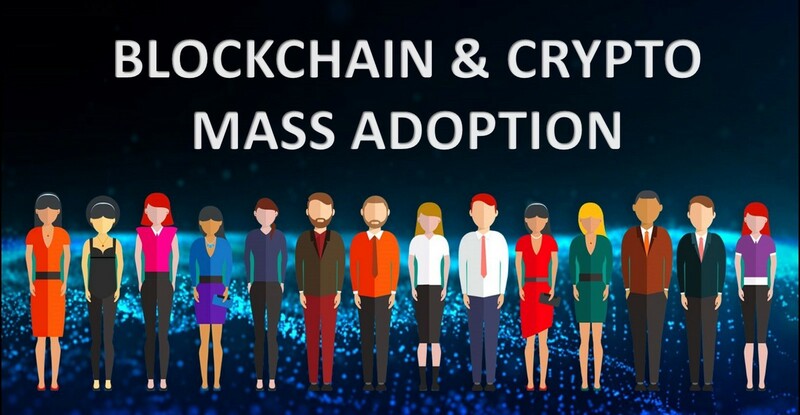 “#MassAdoption will come when people don’t know they’re using #blockchaintechnology”. Exactly! This is the perfect quote in my humble opinion. This also describes exactly what KIN is striving to do. Their goal is for adoption to happen without users even knowing they are using cryptocurrency. All they know is that they can earn something called “KIN” in apps for doing certain tasks (depending on the app), and they can turn around and use that “KIN” to purchase things. The biggest use case right now is within the Kinit app (http://kinitapp.com) where users take quizzes and or surveys that pay them in KIN. In essence they are being paid for the same information that Facebook takes for free and sells to corporations. They can use that KIN to purchase gift cards for an assortment of companies such as Uber, Airbnb, Amazon and more.! I think there is this general idea that crypto mass adoption will come when the average person starts to purchase cryptocurrency and then go buy something with it in the real world. I hardly think this is the case. First off, this is already happening on a small scale, but it’s happening very slowly. The cliché scenario being the ability to buy coffee with bitcoin. While this exists, I don’t believe it’s the correct entry point into mainstream adoption. I think right now there are nearly 2000 cryptocurrencies. I obviously haven’t had time to research them all, but I do my best to look for utility tokens that are trying to do what KIN is doing. There aren’t many. The list gets even smaller when you look at their partners and progress. Use case is key, and KIN already has it. They also already have integrations with large scale apps such a Kik, Perfect365 and Swelly. The total integrated app count is over 30 and total wallet count has reached over 7 million. The quote “#MassAdoption will come when people don’t know they’re using #blockchaintechnology” reads truer to me than anything in crypto right now. It’s all about utility with no friction. We’ve got a long way to go before the mainstream starts buying crypto, but that doesn’t mean we can’t get them using it without them even knowing they are using it. Mark my words, this strategy will drive crypto adoption and 2019 will be the year of utility. At the time of this writing, KIN is leading the pack!